The refreshed X407/X507 ultrabooks are some of the slimmest models out there, featuring CPUs up to gen 7 Core i7-7500U coupled with up to 8 GB DDR4 RAM, Nvidia's GeForce MX110 GPUs, storage combos made of a 256 GB SSD and a 1 TB HDD, Nanoedge IPS FHD displays with thin bezels, and fingerprint sensors compatible with Windows Hello. 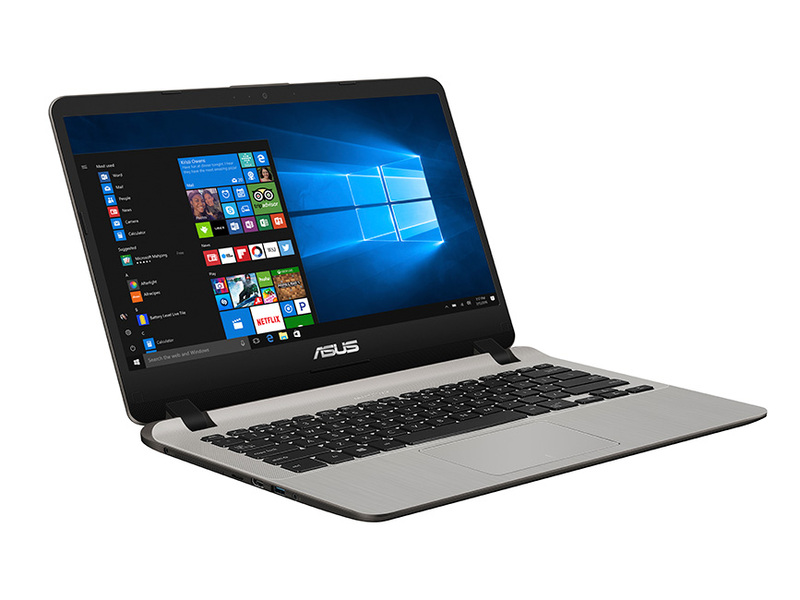 Together with the Zenbook models, the refreshed X407 and X507 ultrabooks represent the slimmest and lightest notebooks Asus has to offer. The two new models come with Intel’s gen 7 Core CPUs, SSD+HDD storage combos and NanoEdge displays featuring thin bezels. The CPUs are, of course, ultra-low voltage models ranging from the i3-7100U clocked at 2.4 GHz to the i7-7500U that runs at 2.7 GHz by default and can reach 3.5 GHz in boost mode. As part of the refreshed specs, the ultrabooks are now equipped with Nvidia’s GeForce MX110 GPUs and a storage combo made up of a 256 GB SSD and a 1 TB HDD. The only differences between the two models are the size and weight. With a 14-inch display, the X407 weighs only 3.13 lbs, while the X507 sports a 15.6-inch display and weighs 3.7 lbs. Both have a profile of only 0.86 inches. These new models are supposed to start shipping in May, but Asus has not yet provided any pricing information.